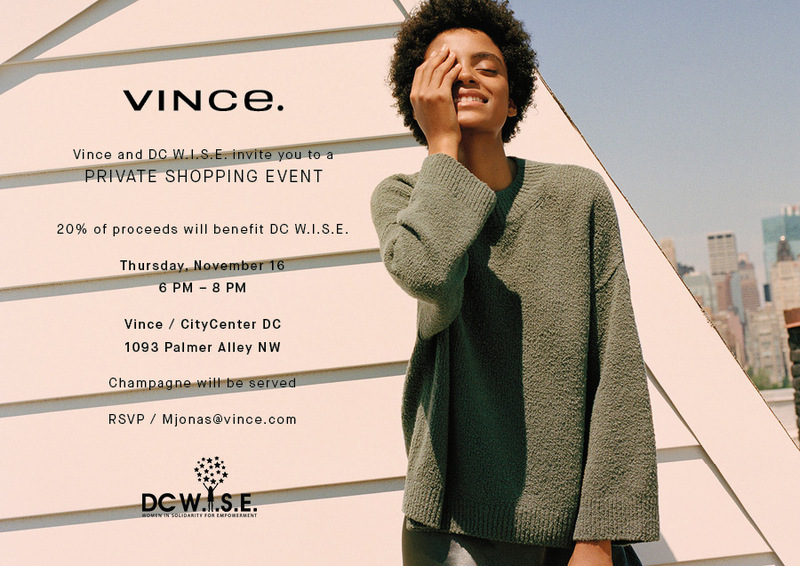 Join DC Wise + Vince for a private shopping event on 11/16! 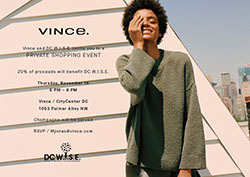 Join us on November 16th from 6-8pm at the City Center Vince. 20% of the proceeds will benefit DC Wise. Bubbles and shopping? Who can resist?